Using an age old ingredient, vinegar, and a little help from coconut based soap, Earth Friendly's Window Kleener cleans windows, mirrors, and other hard surface areas. Window Kleener does not streak nor does it leave a film residue after use. Long lasting - only a very small amount is needed per clean. 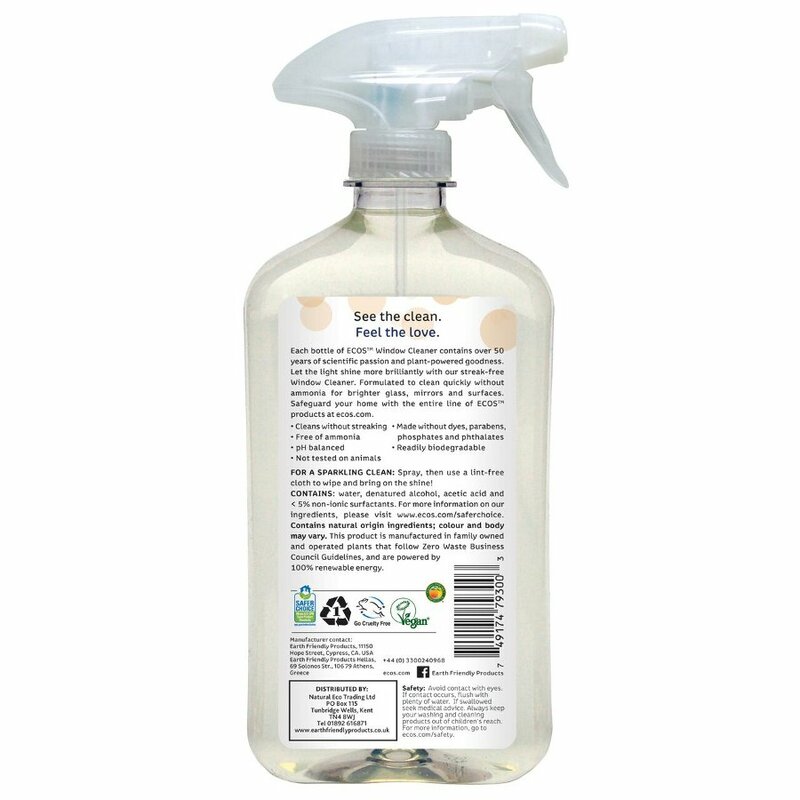 Spray sparingly onto window, glass or mirror to be cleaned and wipe clean with dry paper towel, or soft cloth. 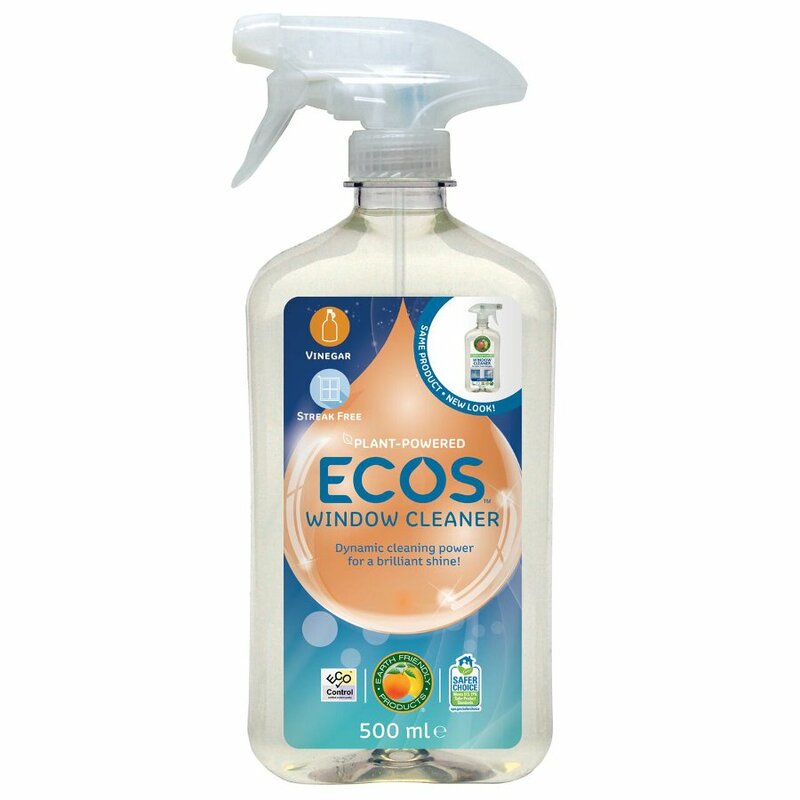 The ECOS Window Cleaner with Vinegar - 500ml product ethics are indicated below. To learn more about these product ethics and to see related products, follow the links below. Does a good job on cleaning windows and mirrors but can !eave them a little smeary. I use this excellent window cleaner on glass, mirrors and tiles in our B & B.
not used this one yet!